Welcome to our Social Media Page! "My name is Lee-Ann Matthews and I am the Diocesan Web and Social Media Coordinator. I would like to help you get started or encourage you to take the next steps. Enjoy these links and resources and let me know what you think!" Would you like to find new ways of reaching people? Would you like to connect meaningfully with members of your existing community and be able to attract new members at the same time? Join us for regular Live Chats offering encouragement, coaching, peer support, best practices and more! CLICK THE BOX TO JOIN - Our next meeting we will participate in Primate Fred Hiltz’s The Heartbeat of the Church Conversation Circle. We are modelling and experimenting with using digital communications to improve and enhance our ability to connect, pray, share and listen. Check out this awesome resource from Building Faith! 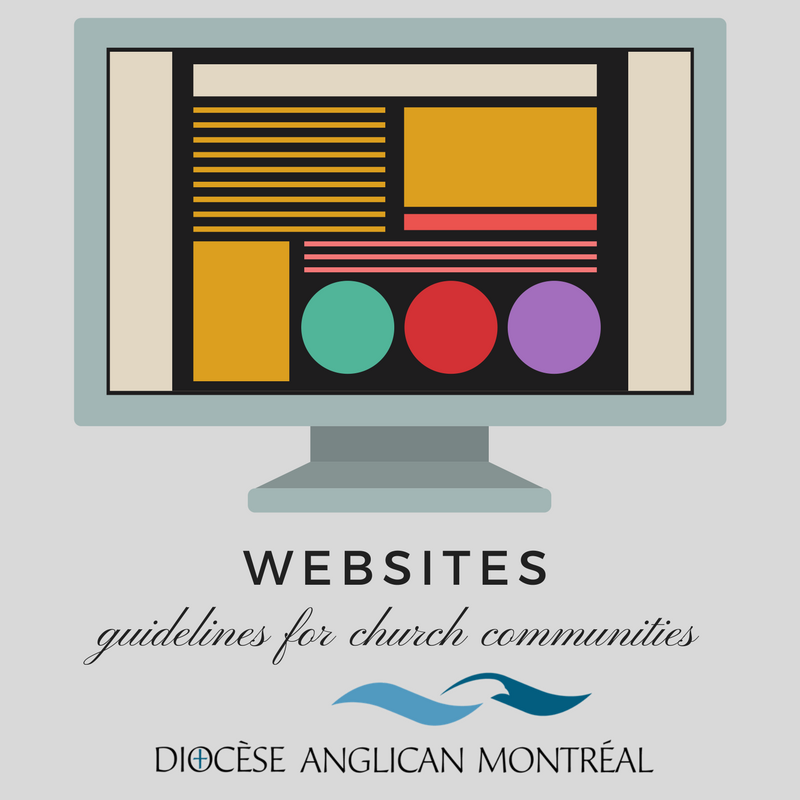 As church communities continue to engage with social media platforms and increase their on-line communications, it is vital to establish clear guidelines to support this evolving technology. Email is an eco-friendly and efficient way to communicate to a wide audience. 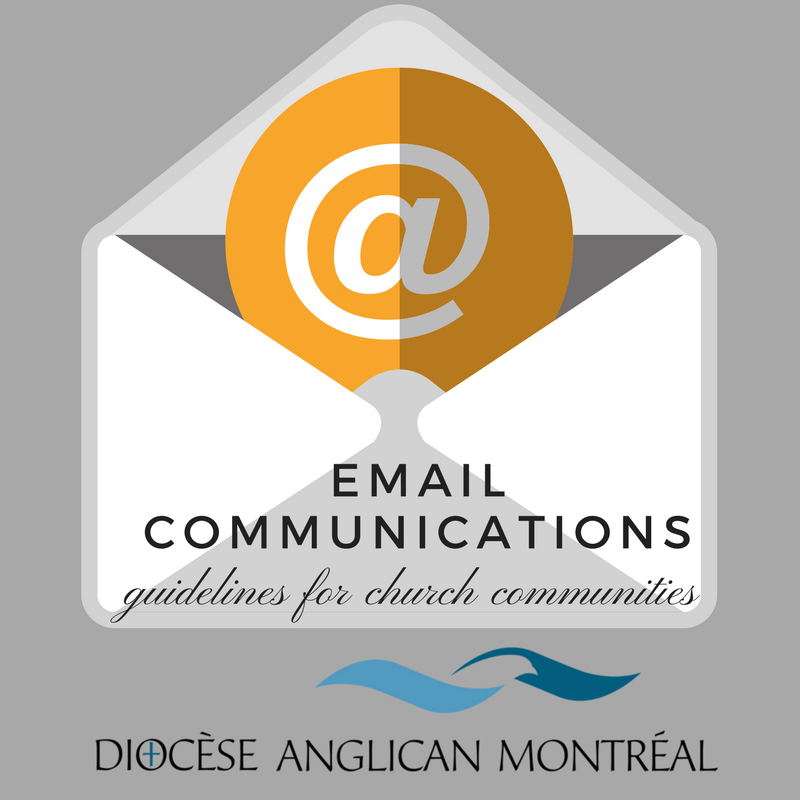 Make a concerted effort to be friendly, prompt and polite in your email communication practices. Watch your tone: Manners are essential when communicating via email. Use a tone that is both cordial and professional and avoid sounding critical or using aggressive language (caps lock for instance can be interpreted as shouting). It is easy for your reader to misinterpret a message without tone of voice, eye contact and body language to help communicate the tone of the message. Reply to emails promptly. Avoid the temptation to file a message as read without responding. This leaves the sender wondering if their message was received and inhibits meaningful communication. Social Media platforms such as Facebook, Twitter, Instagram, and Youtube provide excellent opportunities to build a wider audience. The ultimate goal of these platforms is to start and encourage a dialogue that allows us to get to know our neighbours, to build trust and to invite them into a deeper relationship with us, our communities and with Christ. Then, assign a few trustworthy, designated administrators to create content and monitor these accounts. Be mindful of your brand and try to be consistent in your message when posting. But do make it interesting. To provide well considered and engaging content create an editorial calendar that will be reviewed and updated regularly. For example: share parish events, updates and stories, share news items or stories from other sources that feels relevant or engaging to your brand, broadcast sermons or services using videos. Capture their attention! Experiment with video options and consider using live video (on Facebook or Instagram) for more impact. Research indicates that video media has more impact and reach than photos or text alone. Be respectful; it’s important to consider the confidentiality and privacy of others when posting photos or content. Be sure to get permission when using images or quotes. Websites are essential for two reasons. First, this is your domain. You own this space and have complete control of the information you wish to disseminate. Second, your website can contain extensive information and you can refer users to pages that may contain fun facts, history, photos, archives and so much more! Remember your website’s landing page is like a foyer. It is a welcoming space where your guests are forming first impressions of you. Are there fresh flowers in a vase? Is it neat and tidy? Am I being invited to enter? In other words, is the information up to date and accurate? Will your guests want to investigate other pages and learn more? Are there links to social media platforms where they can watch live videos and view content that will allow them to get to know the people in this organization and to trust them?